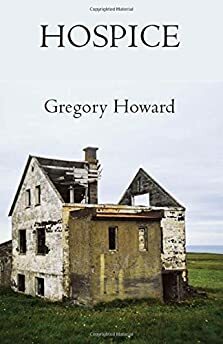 Largehearted Boy: Book Notes - Gregory Howard "Hospice"
Book Notes - Gregory Howard "Hospice"
Gregory Howard's novel Hospice is an engrossing and brilliant debut. "In Gregory Howard's beautiful, brilliant first novel, stories spill out of other stories to swim, swirl, dance (sometimes giggling, sometimes smiling gravely), and collide. One thinks of the Calvino of Invisible Cities, to be sure, but also of Bruce Chatwin and his In Patagonia, in each of which a highly inventive voyager goes wandering through the world and/or through the world's endless tales of itself. Still, deeply felt loss is the engine of the ludic impulse in Hospice, and the many games played, rituals enacted and songs sung by its characters evoke, with grace and power, our oldest truths, our most challenging conundrums, and the exhilarating ebb and flow of our sleep-wrapped lives." I probably listened to Schubert's Winterreise and in particular the first lied of the cycle, Gute Nacht, more than anything else in the writing of Hospice. The lieder is a dramatic monologue in which the singer plays the part of a wounded lover who wanders a winter landscape after his beloved has left him for another. He seems to wander toward death. He longs for it. His only companions are crows and a beggar musician. Along the way he meditates on love and death and his own identity. He merges with the frozen landscape. In this first song, he leaves his beloved house in the middle of the night. He sings ""A stranger I arrived; a stranger I depart." He writes, "Good Night" with his finger in the snow on the gate of her house. A trace of his love that will soon be effaced. This kind of word and music and imaginative landscape is what I hoped Hospice would be. People who love this have their preferred versions but this version with Mark Padmore and is mine. There is something about Padmore's tenor that feels like ice. The surface of the frozen river with cold, bracing water moving beneath it. Two songs about being young, about desire and chaos. Two sides of the same coin. "Hazel St." makes me feel like being a teenager in the bedroom of the house I grew up in, listening to music late at night, either staying put or about to sneak out, either way dreaming of escape from everything I know. It is this longing Lucy has every place she goes. "Schizophrenia," on the other hand, has this feeling the chaos of desire and madness. The song has that laconic expression of yearning that Thurston Moore sung songs always do and the story about meeting a friend's schizophrenic sister and the attraction to insanity and recognition of it in himself is terribly powerful and, to me, true. A part of myself I scattered throughout the book. The great British serialist composer Gavin Bryers and Spanish artist Juan Munoz conceived of this piece in which a narrator details instructions on sleight of hand and card manipulations while music plays around his voice and slowly ambient noise begins to creep into the mix. The voice of the narrator and the instructions is alternately clear and subsumed by the music and other sounds. The effect is a muffled listening, voices from another room, a desire to hear the voice, the instructions, only to realize that everything you are hearing is what is desired. Originally this piece for broadcast on radio. When I heard it the first time, I imagined hearing it then on the radio, out of the blue, the strangeness of the encounter. This is one of the great capacities of radio: it's intimacy and its capacity for alleatory surprise. My experience of this piece helped me to conceive how I wanted the story of Lucy to unfold in the narrative space of the novel. There's a scene in the Part One of the book where Lucy is hosting a man called only "the orderly" in the big and now empty house she lives in. She puts on a record and the record is of a woman chanting. When I thought of that woman I though of Diamanda Galas, the powerhouse avant-garde singer, composer, and performer. What she does with her voice might be called inhuman if you reduce what it means to be human to the pleasant. She shrieks and howls and growls making her voice do things to express the inexpressible—pain and rage. It is the voice of human as both animal and something at times transcendent. Here she turns Screamin' Jay Hawkins 'I Put A Spell On You' into an exorcism. The uncanny is a driving force in Hospice. The idea that what is repressed, history unknown or unremembered, will come back to haunt us in fragmentary forms and unpredictable emotional experiences, that the world is not our home, and our home is something strange—all of this I tried to infuse into the book. I remember the first time I heard Boards of Canada. I was living in a house with a bunch of my friends, a house that had once been-rumor had it—the house of the Spanish consul at the turn of the century; it had also been a funeral parlor; it was a house with a long history, now decrepit and wonderful; it seemed haunted. It was this house that served as the model for the house Lucy lives in and Boards of Canada is its soundtrack. When I heard it in that place it sounded like—it still sounds like—"Aquarius" and all the other songs of the first BOC record— aural conjuring, like channeling. The distorted joy and menace of the whole record captures the feeling of memory and also the joy and menace of childhood. Towards the end of Hospice, Lucy ends up traveling by car and by bus, once to a possibly (and to her hopefully) magical hospital and then into the unknown. In both of the drives, I imagined Colleen. In her album Everyone Alive Wants Answers Colleen creates this short, spare soundscapes, filled with various instruments, toys, voices and whispers, alive to moments of quiet beauty and built on repetition and variation. We are dropped into a world of sound that feels like it is a shard of something larger and longer but that we don't have access to. Lucy's drives, her journeys, feel like this to me. A repetition, a variation, a search for the missing whole.